It has been a busy fall and winter for me. In addition to working on INFLICTED, I’ve been writing a pitch treatment for the Kate Lange series, as well as for an espionage series that I’m currently developing for television. I will be attending the Banff World Media Festival in June. 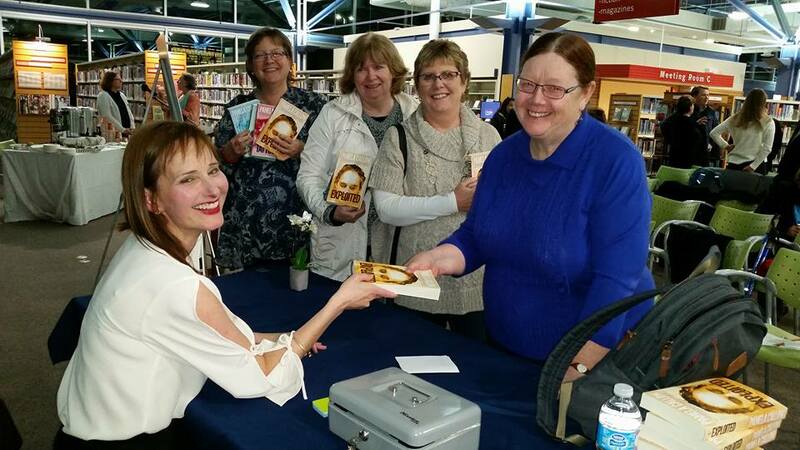 Last month, I co-hosted the inaugural Halifax region Crime Writers of Canada Arthur Ellis Awards Event, where myself and my fellow authors announced the nominees, gave readings from our works and participated in a book signing. In the fall of 2017, I attended Bouchercon 2017, the World Mystery Conference, in Toronto, where I was a panellist for the “Changing Times in the Publishing Industry” session. Prior to that, I attended the Novelists’ Inc. NINC 2017 conference at St. Pete’s Beach, Florida to get the latest on the independent publishing industry. I’ve been thrilled with the response to EXPLOITED, the latest Kate Lange release. Thank you to everyone who has left a review. It really helps my books find new readers!